Where does a cell phone come from, anyway? Well, there are four main parts: the case, motherboard, screen, and battery. With those in hand, plus some fiddly assembly, you’re done. Except you’re not. Through the course of our talk, Scotty mentions the need to laser off the anodization from the back of the case, because it’s used as an antenna and needs electrical contact. But where do those four parts come from? A screen isn’t just a screen, but a stack-up of LCD, digitizer, polarizers, and so on. Assembling these properly from their component parts requires tooling, and an even deeper trip down the rabbit hole, which of course meant a trip to see someone in a screen repair shop. All of which are, of course, nearby. In the end, he’s got an iPhone, just like any other, but it’s his phone. And you can have your own phone too. 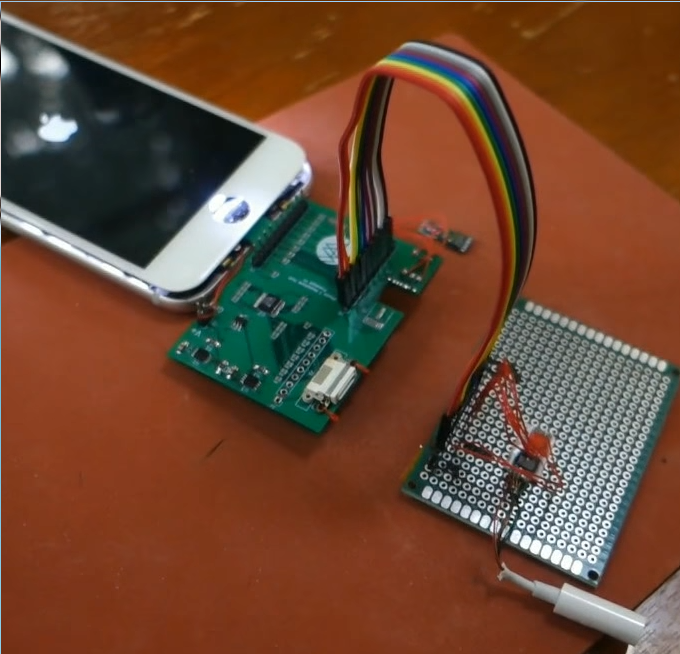 Scotty’s takehome for hackers is to not be intimidated by smartphones. After all, they’re just small computers inside a case, and they’re designed to be put together by normal people on an assembly line. They’re absolutely more fragile but if you take your time with it, there are user-serviceable parts inside. And come to think of it, we’d like to see more smartphone hacks. So check out Scotty’s Superconference talk, where he also goes into adding an earphone jack to an iPhone and many tips and tricks he discovered along the way. Then let us know what your next smartphone project is going to be. While the video where he assembles his own iphone is quite interesting, the one where he adds in a 3.5 jack to the phone and shows it can be done is really fantastic. Yep. Simply an awesome build and project. Another one Apple could make the iphone in the US and still make sizable profit but it’s because the shareholders are extremely greedy and want to have a profit margin over five times times the rest of the industry. Some of Samsung’s products are made in South Korea and labor is almost as expensive as the US other overhead such as energy and real estate are more expensive on average. It’s why I don’t buy i-products anymore. Show the removal of the feature was not due to engineering reasons but instead to sell adapter that will get lost and BT ear buds which Apple sells. It should really be embarrassing and more widely spread through the crapple people. Ummm… that video is a joke. Or a hoax. Or maybe a joax. Any chance anyone has the link to aliexpress that he mentions for the binocular microscope at 16:24 ?? I was holding off on sharing it because I was planning on making a video about the microscope and share it then, but screw it, I’ve procrastinated long enough. I pinged the seller, she’s updating her aliexpress link now, and I’ll report back. Oh, one more thing I forgot to add – I also bought a 0.5x Barlow reducer from her, which doubles the working height. I don’t see that on the listing, but would recommend getting one (they’re pretty cheap).